If you haven’t been able to tell, I have a bit of an obsession with summer drinks. I even have a pinterest board FULL of delicious summery goodness. 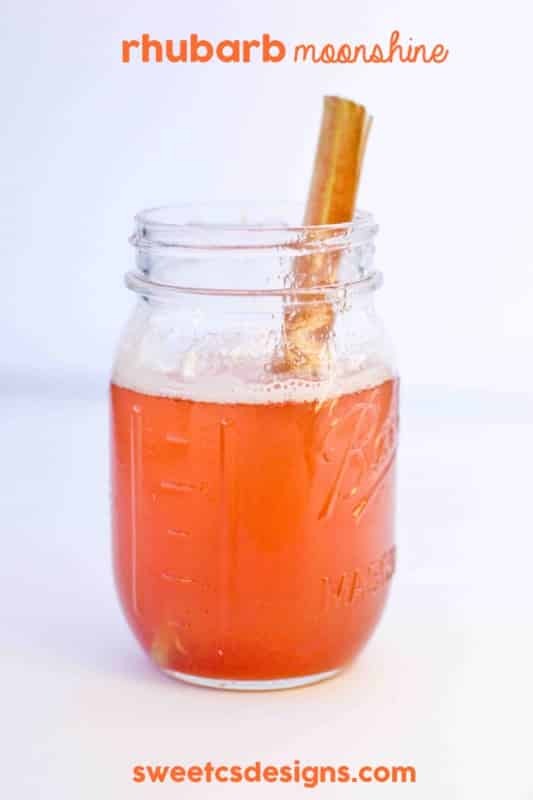 And today, I am super excited to share my newest obsession for summertime sipping- Rhubarb Moonshine! Follow Courtney O’Dell’s board Summer Sippers on Pinterest. Is there anything better than the tart, sweet taste of rhubarb in summer? 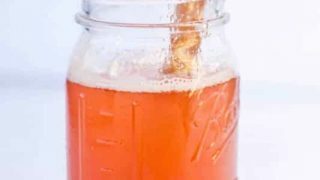 I love the flavor of rhubarb, and this recipe takes all of the tangy tart flavor and makes it smooth, sweet and sippable- an excellent twist on rhubarb’s classic summertime flavor. And the best part- this recipe is based on a Rhubarb Simple Syrup. 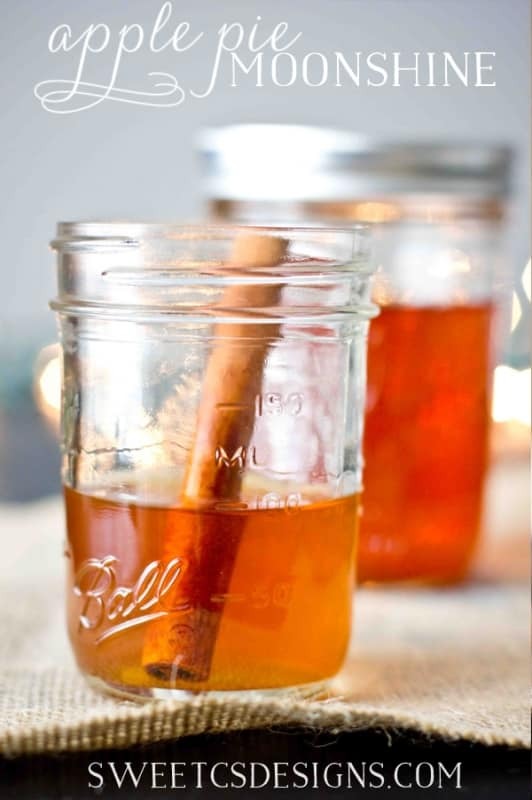 If you so desired, you could skip the Moonshine and just make the simple syrup to mix into other summer drinks. But really, why not just make it a moonshine and add to your favorite summery cocktail for an extra hit of rhubarb flavor? 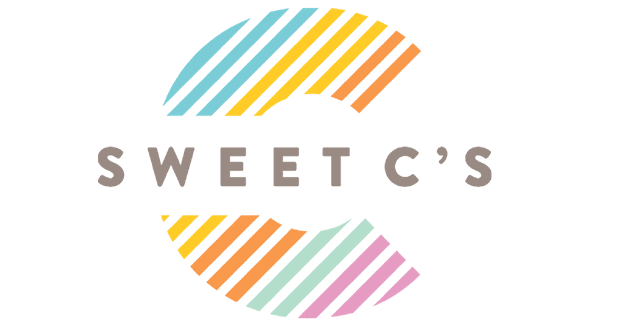 I’m sharing a few recipes mixed with this soon- so stay tuned! This recipe contains 190 proof everclear- which is EXTREMELY strong. This is meant to be served WITH something else- for instance, I like to add this to sparkling water, as an ingredient in cocktails, add a shot to a summery punch, or even just an addition to soda. Do not consume more than 1-2 ounces, and DO NOT DRIVE AFTER CONSUMING. Even just a bit! This is very alcoholic, even though it goes down very smoothly. This drink is meant for responsible adults over the age of 21- lets keep our summer sipping SAFE! 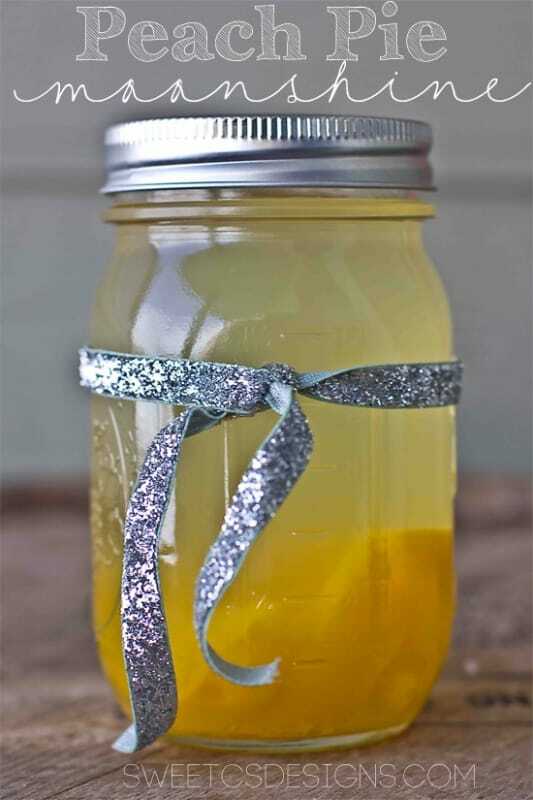 And be sure to check out my other flavored “moonshines”- they are perfect for summer parties, hostess gifts, or just nice for summer sipping! Add in rhubarb and sugar- stir well to completely dissolve sugar. When cool, mix in everclear and stir well. 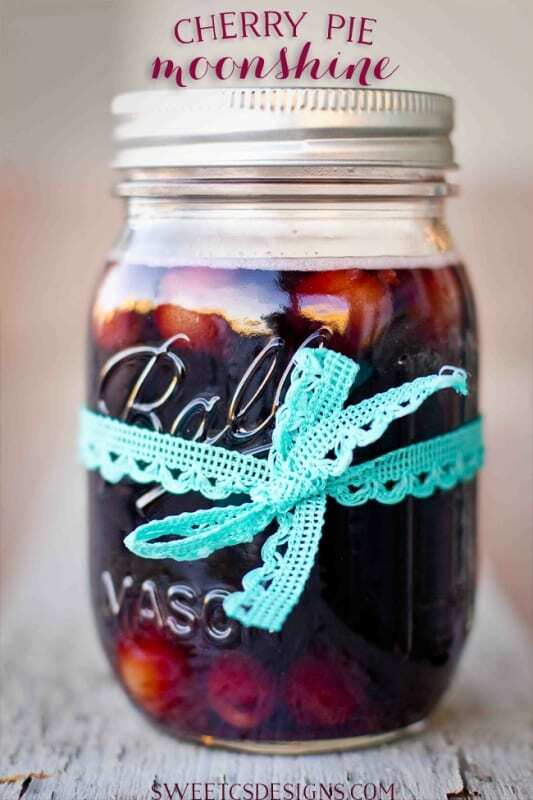 Pour mixture into sterile mason jars, add lid, and store in a cool, dry place. Yield will very based on reduction- but will be around 5 1/2 to 6 cups. 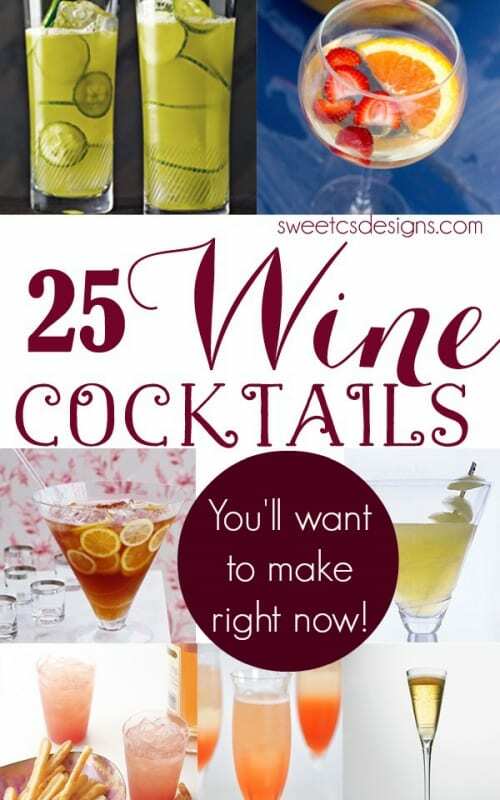 And if you’re looking for more summertime drink ideas, check out these 25 Wine Cocktails to Drink Now! I love the strawberry rhubarb combination. Have you tried boiling with strawberries for a strawberry rhubarb moonshine? I was wondering the same thing. I would be interested to hear if anyone has tried this. I really want to make this as I love Rhubarb! My question is this: Can I make it now during the summer months and will it keep to give out as Christmas presents during the holiday season? I am thinking it should with all of the ever clear but what are your thoughts? Thank you for sharing this recipe! does this really call for only 150ml of everclear? im not sure with all the ingredients and only 150ml of everclear that you will get 5 1/2 to 6 cups of finished liquid. 5 cups of water + 1 cup sugar reduced by 1/2 will yield maybe 3 cups of syrup, and 150ml of everclear is about 2/3 cups……am I missing something? don’t want to ruin perfectly good everclear and rhubarb if these aren’t the correct measuements. THANKS! Josh- I updated it. I need to correct the yield- you’re going to get a delicious drink, but a smaller yield.